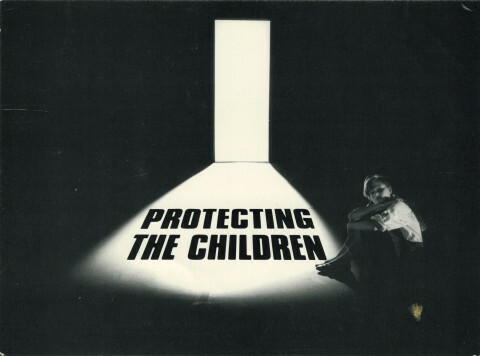 This transmission card is from the 1988, 7 part series on BBC 2 following one of the NSPCC’s Child Protection Teams based in Lincoln, as they investigated cases of abuse and neglect towards children. The documentary series was largely observational and involved film crews being on standby to cover emergencies as they unfolded. Margaret Jay was reporter for the series. The daughter of Labour leader James Callaghan, she followed her television career as Labour spokesperson on Health in the Lords. She was married and then divorced from Peter Jay. The series was produced by Tamasin Day-Lewis (now best known as a television chef and sister of the actor Daniel Day-Lewis),with photography by Mike Fox and edited by Chris Wade; Sally Ann Lomas was the assistant producer. 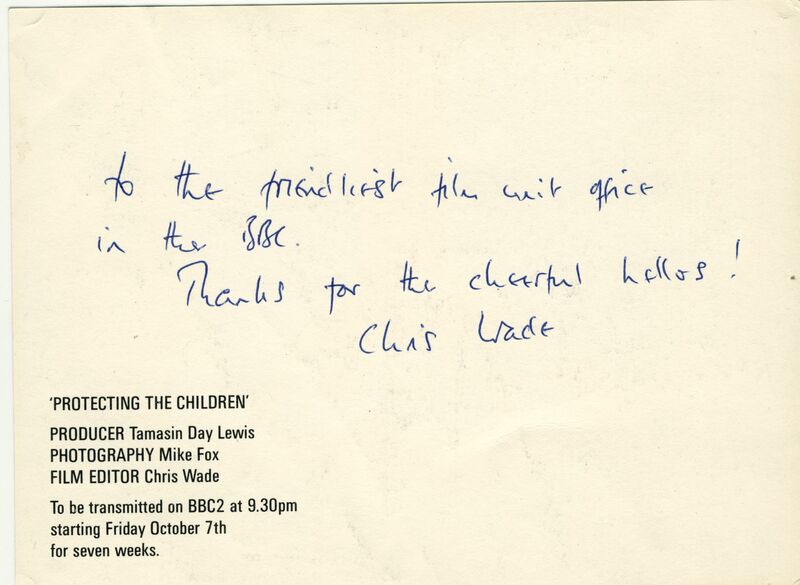 This thank you note is from the film editor Chris Wade, and thanks the Film Unit office for their helpfulness. Maggie Humphries scheduled and organised the film crews at Pebble Mill, facilitating the programmes based in Birmingham.